Throughout the winter months, you and your family rely on your heating system to provide you with comfort and warmth. 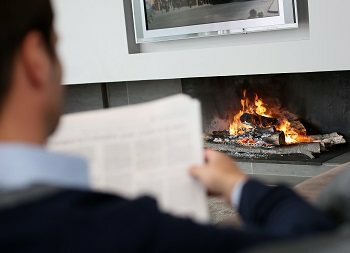 During the coldest parts of the year, it's very important that you know that your heating system is as effective and efficient as possible. Your heater will be used very frequently throughout the winter months, and because you'll need to be able to rely on it throughout that time for a great amount of heat, you need to make sure that it's always in excellent condition. The first step that you can take toward having a great heating system is a high quality installation. At Cooper's Inc., our professional heating contractors are able to guarantee the highest quality heating installations possible in the Topeka area. Our heating services professionals are licensed and trained, and we have the expertise and experience to provide great installation of any type of heating unity, including furnaces, and heat pumps. We'll make sure that the installation is completed in accordance with local and federal codes and guidelines, and we guarantee that you'll be completely satisfied with the work that we provide. When you hire our heating contractors for any kind of heating installation, we'll guarantee that you receive the highest quality service and workmanship possible. We'll guarantee that your heating system has no problems that result from any faults in the installation, and we'll make sure that the installation results in a more energy efficient heating unit. Our professionals will work hard to get this job done quickly, but we'll never let the speed of our work get in the way of its quality. Heating installations require professional-grade equipment, experience, and expertise, and any mistakes made during the job can be extremely expensive and difficult to have repaired. Removal and replacement of the old unit. Our professionals will be able to safely handle every aspect of your heating installation. If you need heating installation services in the Topeka area, please call Cooper's Inc at 785-267-4100 or complete our online request form.